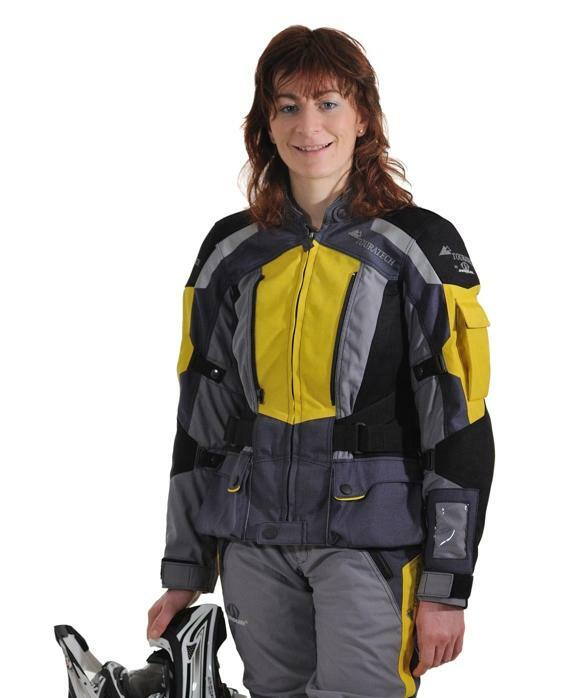 Touratech's Companero suit marks a new chapter in the evolution of textile motorcycling gear. The innovative Companero combines the benefits of a sporty summer suit with the comfort of a top-quality GORE-TEX weatherproof membrane all-in-one. Stadler's vast wealth of experience in manufacturing World Renowned riding gear was just what Herbert Schwarz needed to implement his ideas. 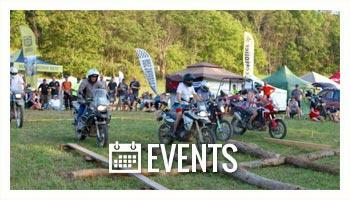 The requirements for the Touratech suit were jointly defined. It was very important that the suit allowed maximum ventilation at high temperatures, while at the same time, it needed to be completely wind and waterproof in adverse conditions. The rider's passive safety was high up on the list too, of course. 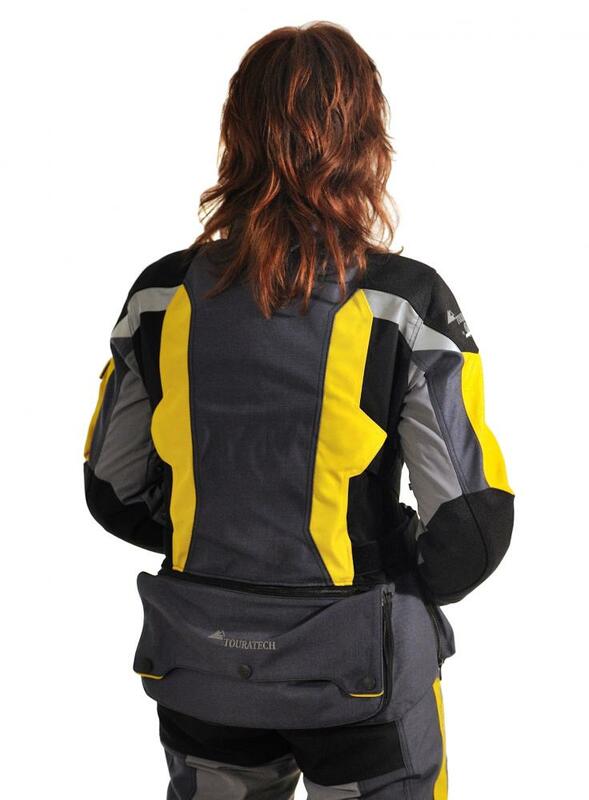 The base of the Touratech Companero is an airy summer suit. Cordura AFT is used on the front and back of the jacket and the legs of the trousers to ensure proper air flow. This comfortable synthetic fiber is state-of-the-art in terms of its tear and wear-resistance properties. The most vulnerable areas are reinforced with a layer of Cordura 2000, a very thick and abrasion resistant material. 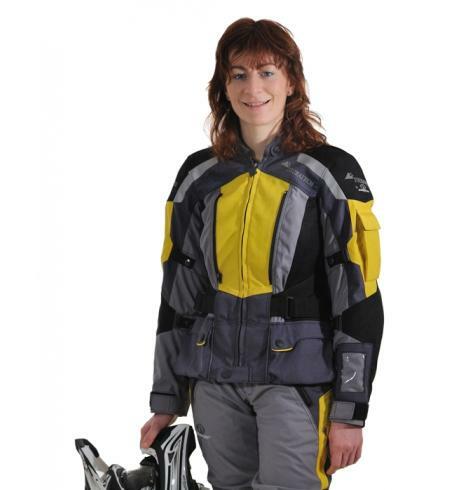 Fully equipped with CE-approved protectors, the Touratech Companero sets the standard in safety. The large reflective panels are a passive safety feature, ensuring good visibility. If required, the jacket and pants can zip together into a one-piece suit. There are two large outer pockets on the front to hold all the things you need to access quickly on the road. There's space for your mobile phone on the upper arm. Valuables can be safely tucked away in the spacious inner pockets. A detachable back pocket provides room for the outer jacket. 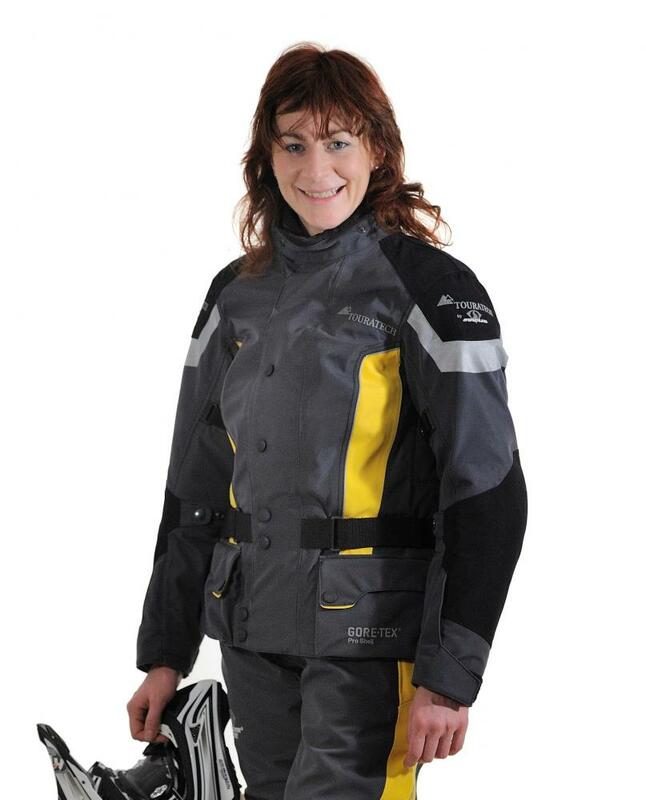 The second layer of the Touratech Companero can be used in colder weather or in the rain. Perfectly tailored to match the cut of the summer suit, you simply pull it on over the top. 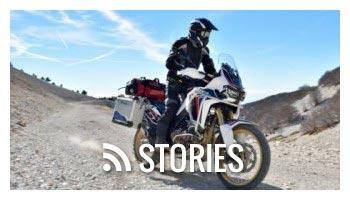 Touratech has chosen the Pro Shell three-layer laminate made by W. L. Gore. In this textile composite material, the inner lining, the top-quality GORE-TEX breathable membrane and the tough outer layer are bonded into one fabric. This means the laminate is not too bulky, doesnt bulge, and always fits nice and snugly. Of course the most important properties of the oversuit are that it is wind and waterproof. And since Pro Shell is an active material, the suit is fully breathable. 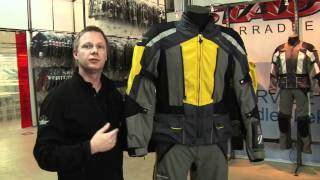 Whats clever with the Touratech Companero is that the windproof, waterproof membrane forms the outer layer of the clothing system. The airy summer suit keeps an air cushion inside that acts as a thermal lining. An additional insulating layer such as fleece underwear is only needed in extremely cold weather. In wintry conditions the additional storm collar will also be greatly appreciated. As you'd expect, the jacket and trousers of the membrane suit can also be zipped together. If you wear the laminate suit in uncertain weather conditions in spring or autumn, ventilation panels under the arms and secure ventilation zips provide cooling if required. And where is the third suit? Right here - the jacket of the outer suit is not only functional, it's also very stylish. As an active jacket, it is easily a match for outdoor clothing brands and is a practical, waterproof and breathable companion for an evening stroll around town or for any excursions where you have to leave your bike behind. On these occasions, you can attach an optional detachable storm collar or hood. See the attached size chart under the 'instructions' tab to find out which size you will need to order. If you don't see your size listed, please give us a call at 1-800-491-2926 or email for assistance.